The NHL playoffs are under way and our favorite team is right in the thick of it! Got a young hockey fan in the house? Challenge their love of the game with this fun word search complete with the terms of the game. He shoots! 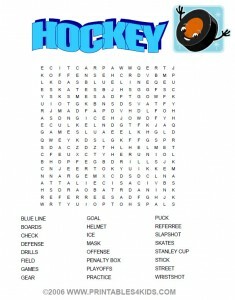 He scores…..
Or download Hockey Word Search as a PDF file.